Cared for by no one, these young boys beg on the street for coins just to get by with the neighborhood mafias. They are wise beyond their years yet none know how to read or even write their own name. Providing them with minor medical care and a bit of kindness is sometimes all we are able to do. 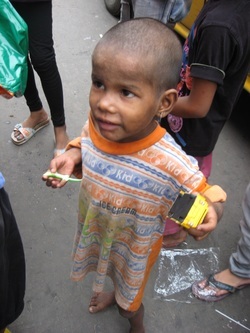 Medical care for street children in Kolkata is almost non-existent. They often suffer from common infections that go untreated. The government of India states that they provide free medical care for those with Malaria and Tuberculosis. In spite of this fact, multiple children brought to the government hospitals by S4SV representatives were turned away without treatment. Hina (above) is 4 years old. She sleeps on a flattened cardboard box in a parking lot with her mom, baby sister, brother, mother, father and grandmother. Her older sister, Sima, used to live with her as well. 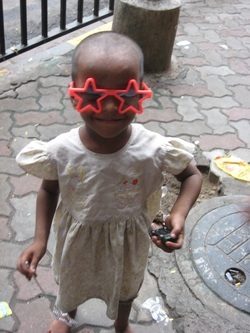 Sima (below) is 6 years old and has mental disabilities. She wandered away one day in July 2010 from the area where the family sleeps and no one has seen her since. Her family, along with our Speak 4 Silent Voices team, looked for her extensively and made reports to the police but to no avail. Below is the only photo ever taken of her. Our goal at Speak 4 Silent Voices is to speak up for those society has cast aside. 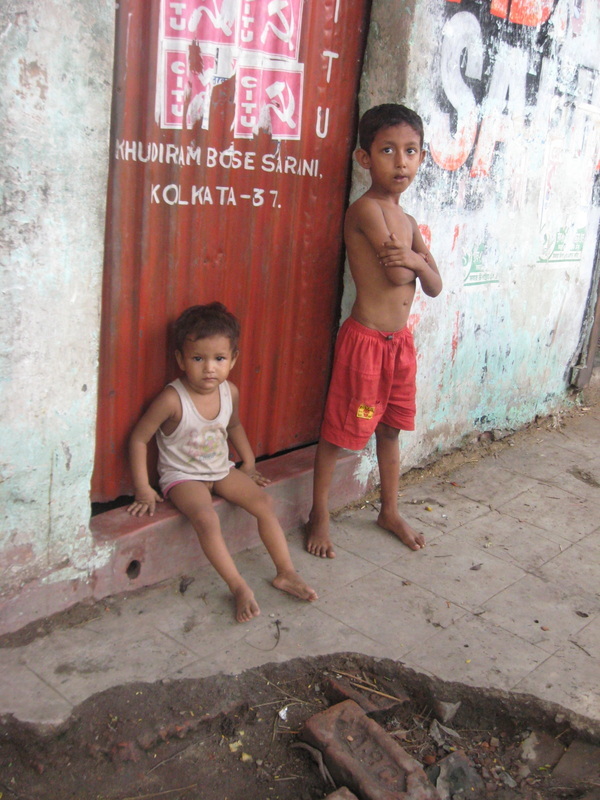 Labeled as "Dalits" or "Untouchables" the children of the street have known only poverty. Their lives may not be easy, and we may not be able to change that fact immediately. But we can do something. We can all do something. We can listen to what they have to say and together we can work toward a brighter future. With the Education Sponsorship Program and by fixing up existing schools that take in poor children we hope to alleviate suffering one child at a time. Being able to read and write is a necessity to succeed in our world. SINCE EVERY CHILD DESERVES TO HAVE THEIR VOICE HEARD WE ARE HERE TO HELP THEM SPEAK UP.